The new access includes a self-service kiosk, entrance gates to the swimming area, fitness studios and gym. Fingerprint access has been introduced to replace membership cards. This will allow you as a member to access all facilities efficiently and securely with the worry of carrying a card. A contactless card will be available as alternative option at £2.50 per card. If a card is lost or stolen, there is a £2.50 replacement charge. Download the fingerprint system guide for more information. How do I register my fingerprint? Enter your membership number on the kiosk and follow the instructions on screen. Sign up to our free ‘Leisure Access’ membership at Customer Services. Once your membership has been processed, you can then enter your membership number on the kiosk and follow the instructions on screen to register your fingerprint. If you are part of a club, please speak with your club for further information. If you have hired our facilities, please contact customer services for further information. 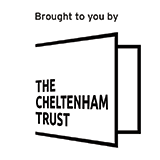 Alternatively, you can contact our bookings team at blockbookings@cheltenhamtrust.org.uk. Families will be given one card per child as part of their ‘Learn to’ package to access the facilities. Alternatively, a parent/guardian can register their fingerprint on behalf of their child. Children aged 13 years and over are entitled to register their fingerprint to access the facilities independently. Children under 13 years can register their fingerprint with a parent/guardian’s consent, please read ‘Data relating to your children’ information below. If your child is under 13 years of age, we must have permission from you as the parent or guardian before providing your child’s personal information to Leisure at Cheltenham. We will not collect personal information without consent. Leisure at Cheltenham will not share personal information with any third parties. We keep personal information stored on a secure system and respect your decision to be contacted or not. How will my child access the facilities with the new fingerprint system? With a parent or guardian’s consent, children under 13 years can register their fingerprint in order to access the facilities. The system does not store fingerprint images. Based on the pattern of lines and junctions in the samples, the scanner makes a number and sends the number to the computer; this is an algorithm. The computer receives a member card number, not a fingerprint. If you do not wish your child to use the fingerprint access system or your child chooses to use an alternative form of access, we will provide an alternative option that allows them to access the facilities. (Please note, the alternative option will incur a cost). Please speak to the customer services team for further information. Thank you for your ongoing support and participation.